Your anti-lock brake system, or ABS, consists of a hydraulic control unit (HCU), an anti-lock brake control module and both front and rear anti-lock brake sensors. When you apply the brakes, you essentially force brake fluid from master cylinder outlet ports to HCU inlet ports. From the HCU, pressure is transmitted through four solenoid valves to each wheel and your vehicle comes to a stop. During an emergency stop, the ABS modulates brake pressure in order to prevent wheel lock-up. If you would like to learn more about ABS, we invite you to drop by Meineke #228 in Middletown, NY. 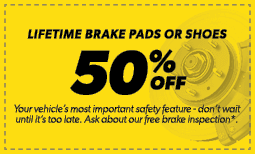 Our friendly specialists know all about anti-lock brakes and how to care for them. You never know when you’re going to have to make a quick stop while driving your car. It is critical that you be able to trust your anti-lock brakes when faced with an emergency situation. If you have passengers in your vehicle, children especially, the need for safety is even greater. Regular inspections are the best way to make sure that your brakes are in peak condition. At Meineke #228 in Middletown, NY, we offer excellent ABS brake service, including timely and cost-effective inspections. Some people think that the funny little sound their brakes are beginning to make can be eliminated with a simple fix. They begin looking around, wondering where to buy brake fluid and spend some time considering options, such as silicone brake fluid versus mineral brake fluid as well as overall brake fluid cost. 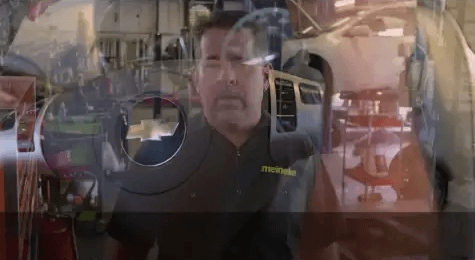 Meanwhile, the funny sound turns into an annoying screech and the smart driver will realize it’s time to take the car to Meineke #228 in Middletown, NY, for an inspection. Even if your anti-lock brakes fail, your car is probably still drivable. The ABS brakes will switch off if the components fail, but the regular brakes on your car still work. This can still be a problem if you get into a panic situation where you expect your brakes to pump themselves to get you out of a skid. Don’t put off repairs to the anti-lock brakes, even if you’re not expecting icy or snowy weather. The ABS system also keeps your auto from hydroplaning in wet driving conditions. Maintain your brakes with silicone brake fluid or mineral brake fluid by coming to the professionals at Meineke #228 in Middletown, NY. 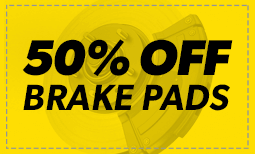 If you are accustomed to bringing your vehicle in to Meineke #228 in Middletown, NY, for routine inspection of your anti-lock brakes, you already know that this represents big cost savings. You might need a minor part or some brake fluid added to the system, and this kind of service can be done quickly and inexpensively. If, however, you have worn brake pads, replacement will be required and you should have that done as soon as possible. Brakes of any kind are designed to wear out, and brake pads are only one component that might need replacing. We will assess any brake problems you’re having and recommend the most appropriate solution. We know that you’re as interested in great ABS brake service as you are in an economical solution to your car’s specific issues. The specialists at Meineke #228 in Middletown, NY, are familiar with every kind of brake problem. Our goal is to offer solutions that are effective while still being as considerate as possible to your budget. This is why we recommend that drivers pay attention to any warning signals raised by their anti-lock brakes and come in promptly for an inspection. Catching potential problems early is definitely the most cost-effective road to take.